This sample price: priced on April 17 for arrival on Thursday, November 21, 2019, departure from New York City (all Airports), NY. Choose your own departure city and dates. 413 Customer Feedbacks The experience was practically perfect. Everything was delivered as advertised. This is a suggested independent itinerary that you customize. Please select the best flights, hotels, trains, activities, transportation and number of nights in each destination to fit your needs. Experience two fascinating cities in England and Ireland with the customizable vacation package. 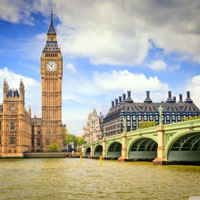 Begin in London (a city rich in history and encompassing modern conveniences; pubs, shopping, food and nightlife) then fly to Dublin (a delightful mix of medieval, Georgian and modern architecture, a wealth of history and culture, a legendary literary tradition). This is a flexible vacation package. Select your number of nights in each city, desired hotel and activities. Please contact us for any special arrangements such as more than three rooms and partial stays. London offers everything! Iconic landmarks, centuries of history, world-class shopping and achingly cool fashion, arts and food scenes. A 40-minute walk along the South Bank will take you past Big Ben and the Houses of Parliament, the London Eye, Tate Modern, Shakespeare`s Globe, St Paul`s Cathedral and Tower Bridge. There are eight Royal Parks to explore, and over 300 museums and galleries. It is home to 60 Michelin starred restaurants and fantastic street food. The evenings offer from high-end nightclubs of Chelsea and Mayfair to cool clubs in Soho and Camden. As for theatre, London`s legendary West End boasts over 40 world-class theatres. Big Ben and the Houses of Parliament, Buckingham Palace, Westminster Abbey, the London Eye, Trafalgar Square, Kensington Gardens, Hyde Park, the British Museum, Piccadilly Circus and so much more! With over 1000 years of history Dublin has experienced many changes, particularly in the last decade. European Union membership and increased prosperity have transformed Dublin into a multicultural city with a thriving economy, ranking it among the top tourist destinations in Europe. An hour walk from the top of Grafton Street, across the Liffey, up O'Connell Street, and farther into north Dublin is a walk through time and, also a glimpse of some of the pieces that must eventually fit together. Trinity College and the Book of Kells, St. Patrick's Cathedral, Dublin Castle, the Guinness Storehouse and Jameson Distillery, Temple Bar, St. Stephen's Green and the National Museums and so much more! and receive our latest deals! England remains one of the most popular destinations in the world for international travel. Millions of people each year are drawn to the frenetic charm of London, the historical attractions of places such as Salisbury, York and Chester, and the rural splendor of the Lake District. Then there is the traditional England of rolling green fields, quaint villages and tweed-wearing locals. Not to mention the English football teams have more fans who live abroad than they do in their home towns while London remains one of the leading international centers of commerce and culture. Ireland is a unique country with breathtaking natural landscapes and a fascinating history. It is full of statues, monuments, dolmens, and other stone arrangements of cultural and historical significance dating back to the days of the ancient Celts. 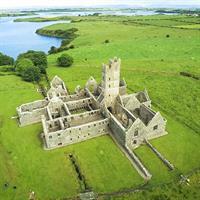 Take a glimpse into the spiritual past and present of Ireland by visiting its churches, monasteries and cathedrals. In Ireland you will also find a great variety of natural wildlife preserves, public parks and artistically-cultivated gardens. The package rates displayed are your total price per person based on Double Occupancy and your Arrival Date and Number of Night selected. You can change details after selectig your travel date. close [x] * Sample prices displayed include international and domestic airline tickets as per itinerary and ALL airline-related taxes and fuel surcharges and are per person, based on double occupancy, and are dynamic in nature. Prices do not include insurance or delivery charges which are optional and customizable by the traveler. The airfare portion of the itinerary price is based on economy class, midweek departure. Prices do not include fees for carry on or checked baggage which can add additional fees per ticket on a roundtrip flight based on carrier charges. It also does not include any entrance fees or visa fees that may be charged at international airports. Some cities may charge local taxes that can only be collected by hotel at destination. Prices were accurate at the time we posted them. Sample prices were for a specific travel date and specific departure airport, as indicated. Your prices will vary according to departure cities and travel dates. We do not control prices (airlines and hotel reservation systems do). Prices may change dynamically and at times significantly numerous times during any given day. Must be a valid username.